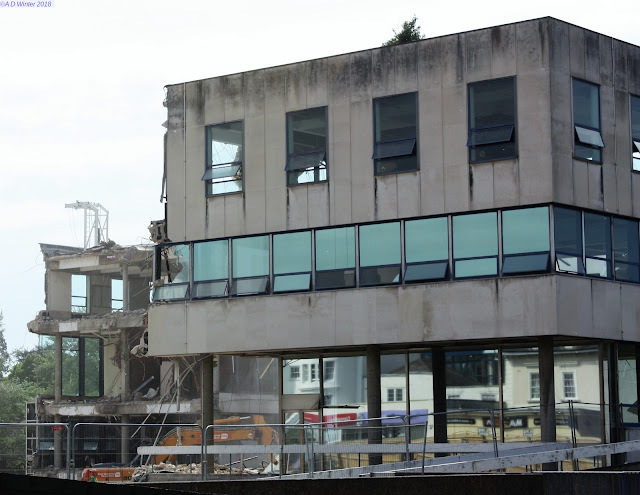 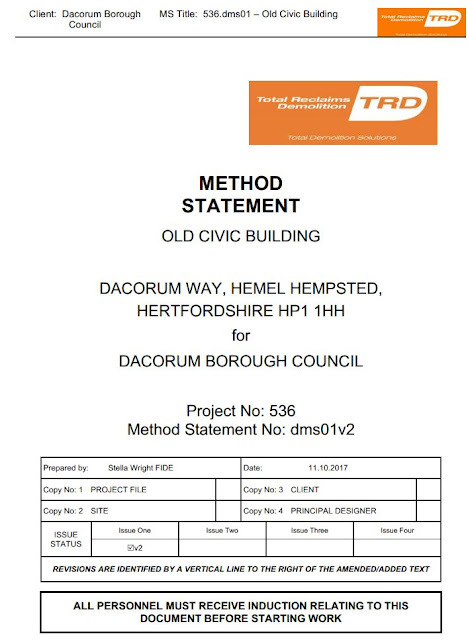 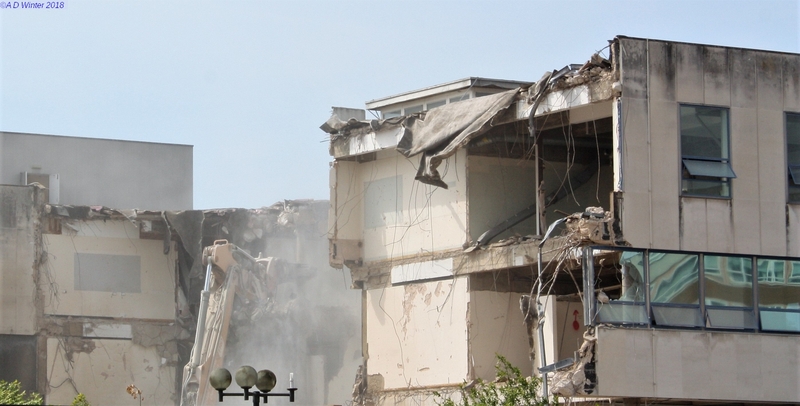 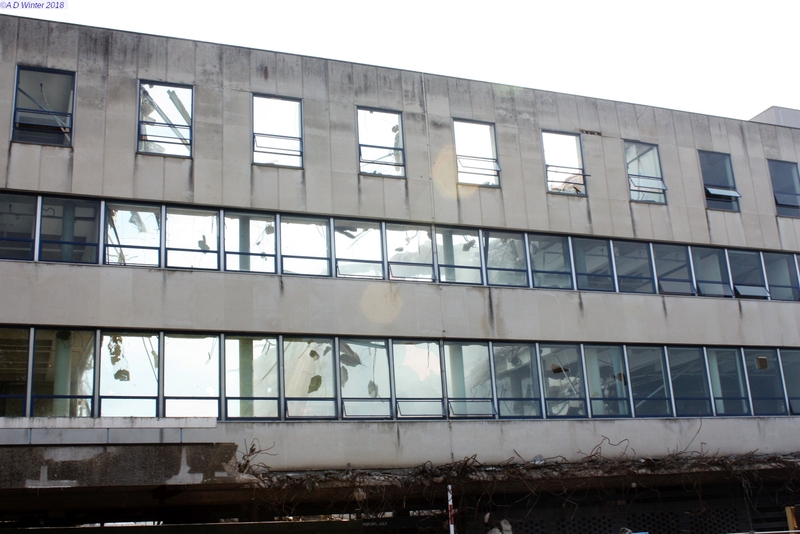 Dacorum Borough Council's former offices in Marlowes, Hemel Hempstead are being demolished. 2018-05-14. 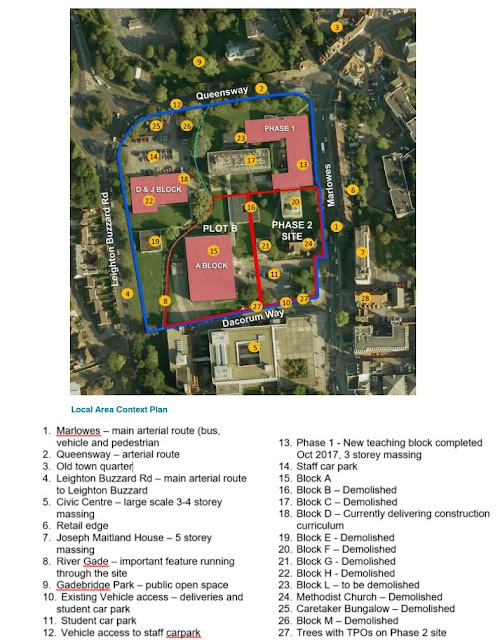 Indicative Development Footprint up to 7 Storeys next to the River Gade. This is what they're building on The College site assuming planning permission is granted. 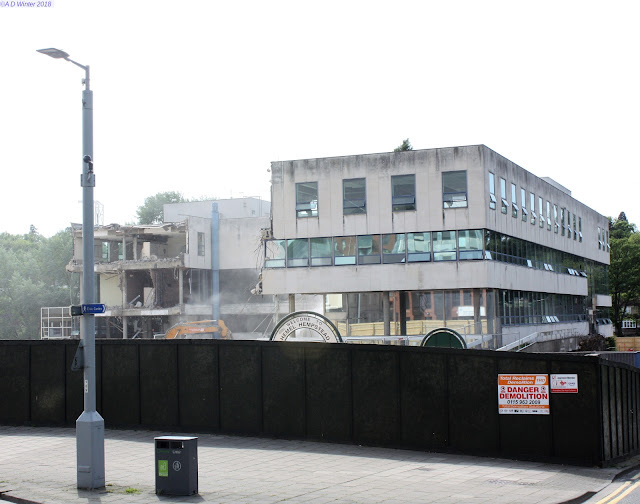 The right hand side is built, and is opposite the Parade shops, where I used to live above the shops. The middle building is going where the Methodist Church was. The building behind is flats up to 7 storeys high on the Dacorum College site.